Grey's Park tennis park in the winter rain. iPhone photo, massaged with CameraBag app and saturation upped a little in Photoshop. Great picture Shawn. That is a very good looking tennis court. Nice picture. 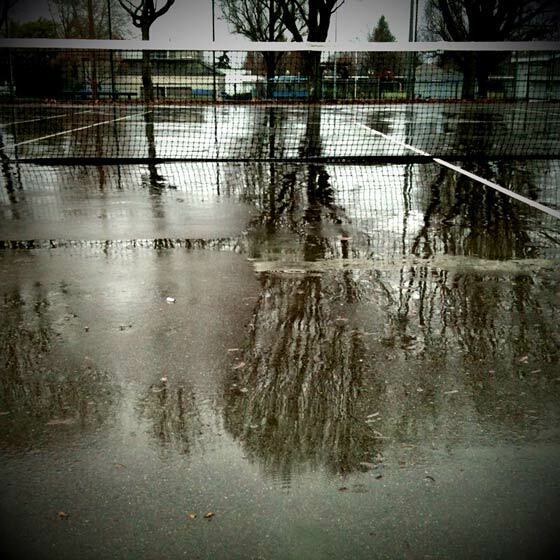 Its depicting the beauty of the tennis court in rain. Kudos…. Nice! Holga filter in CameraBag?